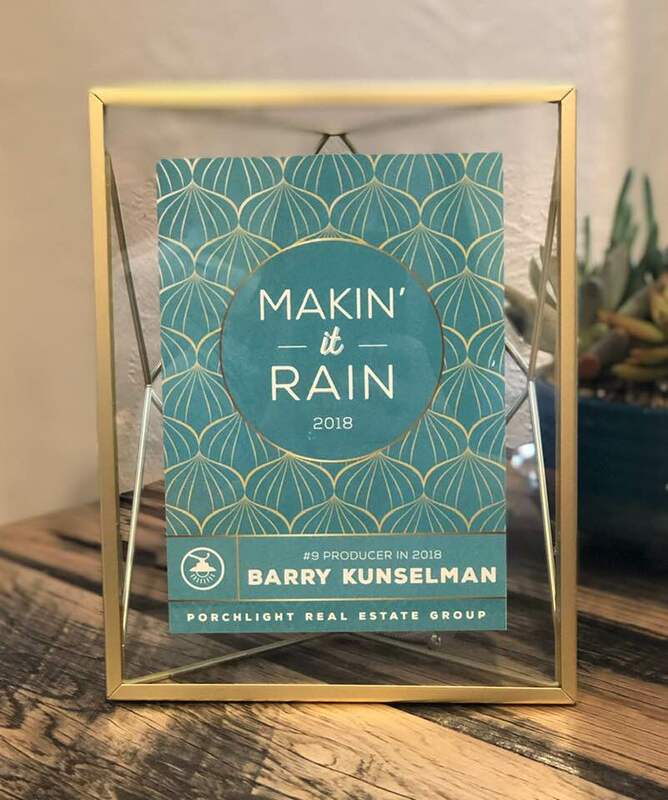 DENVER, CO - Feb 4, 2019 - Barry Kunselman, with Porchlight Real Estate Group, has been recognized as #9 Top Producer in the recently concluded Porchlight Party & Annual Awards in January 2019. The award honors 10 agents of the company who have achieved top production records in 2018. Barry's tireless dedication to serving his clients, consumer, and the community has allowed him to achieve this top honor. Kunselman has been working in the real estate industry for 11 years and has extensive experience in buying and selling residential real estate in the Denver Metro area. Barry achieved over $13 million dollars in sales with over 25 buy and sell transaction sides in 2018. PorchLight Real Estate Group has been awarded a Top Workplaces honor by The Denver Post and placed in the top five of their size bracket. In 2018, the company was ranked number three on the elite list of midsize employers (150 – 499 employees).